How do you handle life together when it becomes predictable? boring? Even the best marriages face these times because we’re all human, and humans get bored. What makes the difference is what you turn to when you’re bored. 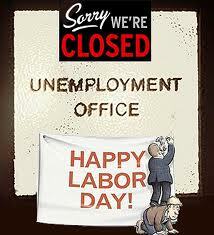 In the meantime, have a happy and safe Labor Day off with your family and friends. Don’t forget–you have until midnight tonight to enter our Summer Lovin’ Photo Contest! This entry was posted in Christian Marriage, Contests, Growing Strong Marriages, Holidays, Summer Lovin' Photo Contest and tagged Holidays, Labor Day, Labor Movement, unemployed, Work. Bookmark the permalink.